S&L Roofing is South Orange County's premier roof repair company. We have over 25 years of experience working in the roofing industry, and the knowledge and expertise required to repair all types of residential roofs, including all varieties of clay and cement tile roofs; wood and composition shingle roofs; wood and cement shake roofs; metal roofs; and flat roof systems. Over the years, we have performed roof repairs for thousands of satisfied homeowners, and are well-known throughout our service area for our high standards of professionalism, excellence of craftsmanship, and affordable pricing. The importance of having your home's roofing repairs performed properly cannot be overstated. This is due to the fact that an all too common practice in the residential roofing and roof repair industry is the installation of insufficient flashing at major roof transitions such as those which occur at roof to wall transitions, roof to parapet transitions, Dutch gable transitions, and intersecting roof pitches. 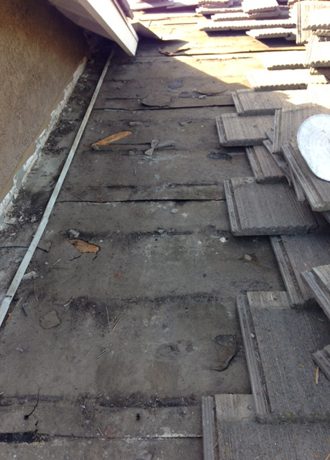 Over time, these improperly flashed areas become key points for the formation of leaks in the roofing system, which lead to the formation of dry rot and mold within the roof, and ultimately, the need for major roof repairs, and in some instances, the need for complete roof replacement. This is why choosing the right roofing professional to perform your home's roof repairs is so vital to the long-term health and functionality of your roof. Rely upon the experienced roofing professionals at S&L Roofing to perform your home's roof repairs. Call us today. 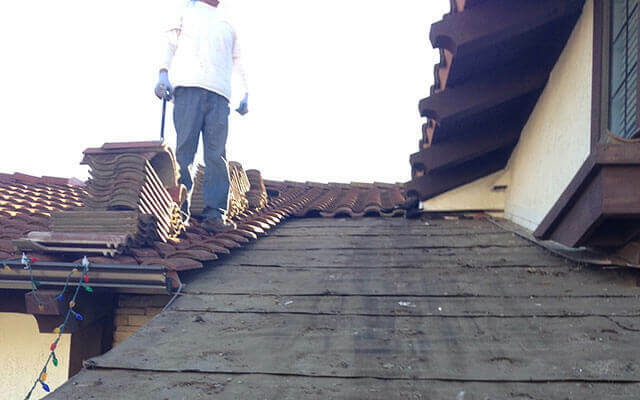 We provide expert roof maintenance and repair services for homeowners throughout South Orange County, and provide free onsite roof repair estimates throughout our service area. Expert repairs on all types of residential roofs: clay and cement tile roofs; wood and composition shingle roofs; wood and cement shake roofs; metal roofs; and cap sheet and gravel flat roofs. All repair work is carefully matched to blend with the existing roof's roofing material; the existing roof's design layout. Affordable roof inspections and Roof Tune-Ups: our preventative maintenance service. Rain gutter cleaning and repair. 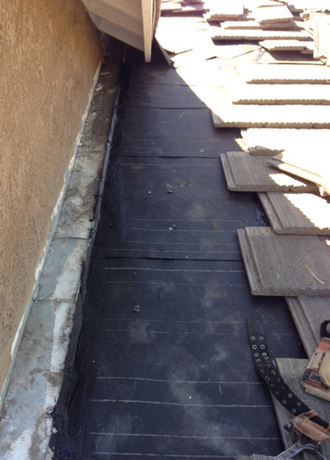 Before: S&L Roofing repaired a roof leak above the front entrance of this home in Foothill Ranch, CA. This roof repair was solved by adding new felt and extended the roof valley flashing to prevent further leakage or damage. After: We finished this roof repair in Foothill Ranch, CA by cleaning out dirt and debris from the roof's valley and putting the roof tiles back into place. With the new roof felting and extended valley flashing, water can now flow unobstructed and debris and dirt can drain properly.